Great piece on the Power of Purpose. Nothing beats it - not talent, courage or luck. Talent & courage, exercised in the wrong direction, are aimless. And Luck generally evens out in the long term. But Purpose is Polaris, the star by which we navigate, which forever pulls us forward. Some people are lucky enough to know their life's purpose very young. 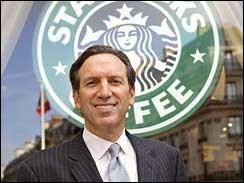 Others have happy epiphanies, like Starbuck's CEO, Howard Shultz. "I'm going to bring European coffee culture to the world!" Most of us struggle though, and when we figure it out, it's a happy day indeed. The same applies, of course, to organizations. Defining Purpose remains the senior leader's Job One, (followed by "What do we believe in?"). You know the drill. Have fun! Don't worry if you 'can't draw'. Top three drawings will receive a free copy of Pascal's latest book.